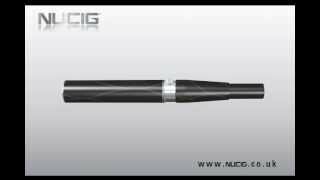 Company Unlike so many other electronic cigarette suppliers, NUCIG LTD is a parent company and based right here in the UK. NUCIG LTD has a fast growing number of national and international outlets including the pharmacy. Unlike most of our competitors – NUCIG MaxVol filters & Eliquids are VG (Vegetable Glycerol) based using only pharmaceutical grade ingredients that enable smoother, richer, maximum volume vapour. The vapour produced is harmless and evaporates in seconds. Designed in the UK, all our products conform to strict UK/EU/USA regulations. Through a continuous research and development program going back 5 years, we offer the latest products which are modern, stylish and look great to be seen with.